Photos don’t merely document the world; they become part of it. So two of the five artists featured in “Photo/Diary,” at Carroll Square Gallery, take photos of photos, representing decaying memories or near-obsolete technologies. On trips to Bolivia, Edgar Endress collaborates with a street cameraman who makes severe portraits of day laborers with an old Polaroid-like Tessar camera. The grayish prints are unstable and gradually fade, so Endress reshoots them, permanently fixing the impermanent. Dawn Whitmore uses black-and-white photos of her life between ages 20 and 30 as backdrops for full-color compositions that feature vividly realistic images of plants and fruit. The results are a bit like Joseph Cornell shadow boxes but contained in a single photograph. 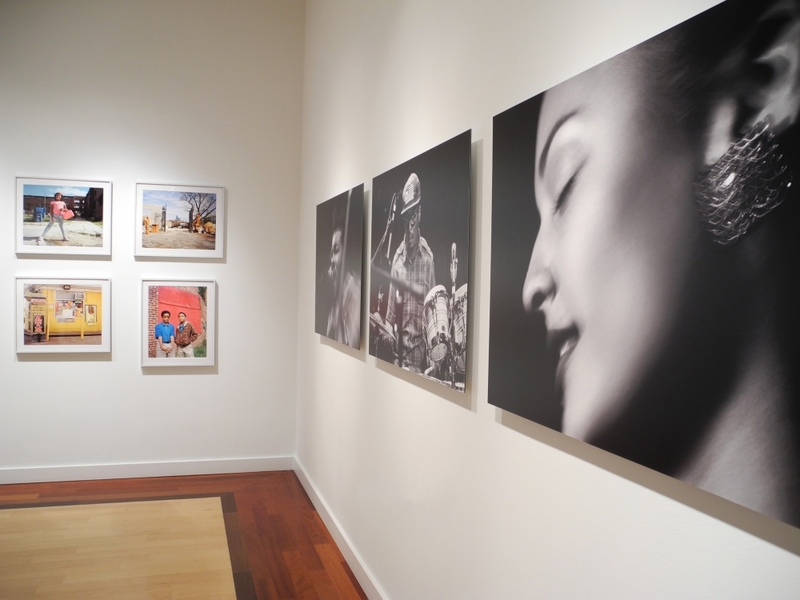 Also included are images by Jati Lindsay, who portrays musicians in a blur of dynamism, and by two photographers who depict less-upscale D.C. neighborhoods. Susana Raab’s carefully framed pictures show people and places along such streets as Good Hope Road SE, while E. Brady Robinson positions a lone person, sometimes in a yoga pose, against graffiti and commercial signage. Both artists ask for a second look at areas that are often overlooked.